Chinese deals lowered potash prices as North American producers' inventories hit record highs, reports Agrimoney.com. Last month, potash prices fell below $420 per tonne, according to data from Potash Corp.
China settled deals at $400 per tonne and, as the world's top importer, is able to set benchmark prices for all buyers. The data also revealed demand was up for North American potash on domestic and export markets, as buyers made their moves in the wake of the Chinese agreements. In February, potash exports were 812,000 tonnes, up 26% over the same month last year. Domestic volumes were more than double year on year at 769,000 tonnes. Inventories were up also at 3.26 million tonnes — 38% above the month's average and one of the highest levels recorded in the last seven years. The increase is attributed to production volumes rising more than 500,000 tonnes. Potash producers remain optimistic about sales for this year with the contracts for China providing certainty plus higher crop prices encouraging farmers to spend more. 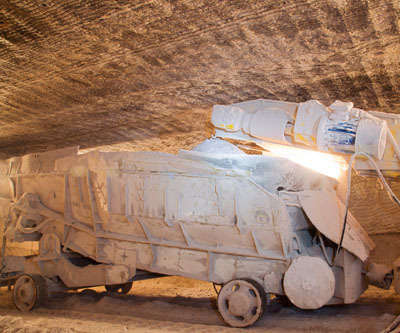 German-based K+S, the biggest potash group in the European Union, predicted last week sales would strongly revive in 2013.